Due June 2 (June 3 in North America), the band are also releasing reissues of “Led Zeppelin I” and “Led Zeppelin III” the same day. 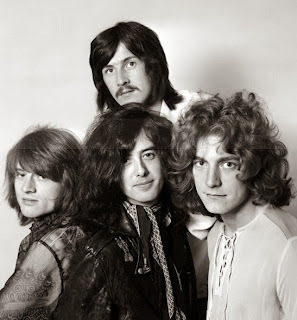 Deluxe editions of the group’s first three albums are the first projects announced as part of an extensive reissue program that will see all nine of the band’s studio albums reissued in chronological order, each remastered by Jimmy Page. The guitarist spent two-and-a-half years combing through the vaults, listening to hundreds of quarter-inch tapes before choosing the best material for the reissues series. "I don't want to die and have somebody else do it," he said. "I'm authoritative about what was done in the first place." Page says the new material "deserves to be heard" because "it's performance art". It will give fans the first chance to eavesdrop on some of the band's key recording sessions. Hear a clip of an unreleased version of “Whole Lotta Love” from the package here. The reissues will be available in a variety of formats – learn more details here.